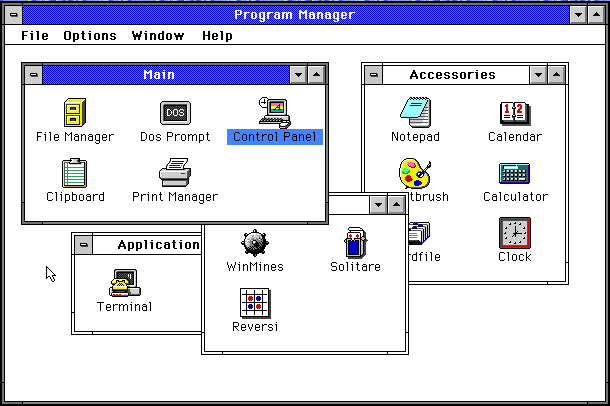 I tripped across this program while trolling the UMich archive for Mac abandonware, and initially thought I had found an x86 emulator, with the real Windows 3.1 bundled in. This sounded so unlikley that I had to download it and give it a shot. …well, actually not. Clearly it was a gag program. It still IS a gag program, and I STILL have fun firing it up and clicking away, getting all those silly error messages. So, if you feel like a little light hearted diversion, head on over to UMich, pick up this program and let ‘er rip – it will make you LOL (to apply today’s nomenclature to yesteryear’s product).